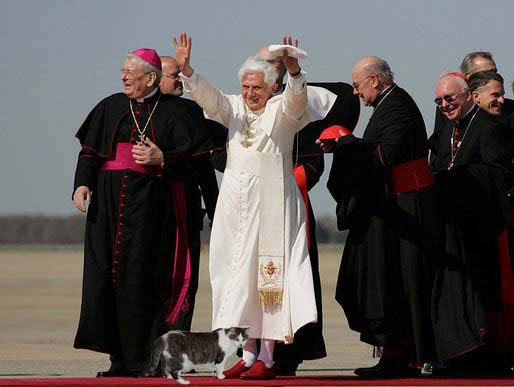 His Holiness Benedict XVI Pope Emeritus, formerly Pope Benedict XVI, was known for his love of cats though due to tradition he was not allowed to keep one at his apartment in Vatican City’s Apostolic Palace. 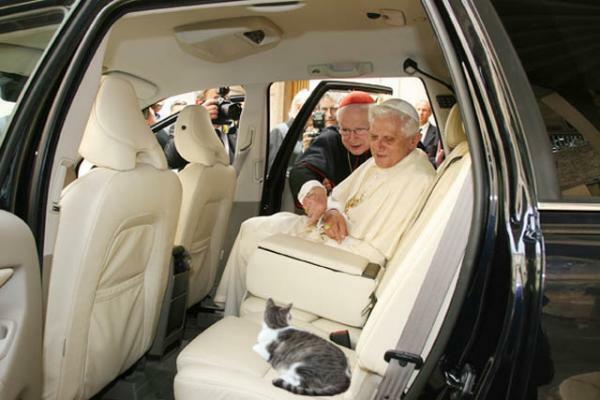 It’s not clear when the rule forbidding pets in the papal apartments was instituted and spokesmen for The Holy See have declined to elaborate, but others have been more forthcoming on the subject of Pope Benedict XVI’s partiality to felines. What’s more, it would appear the affection was mutual. 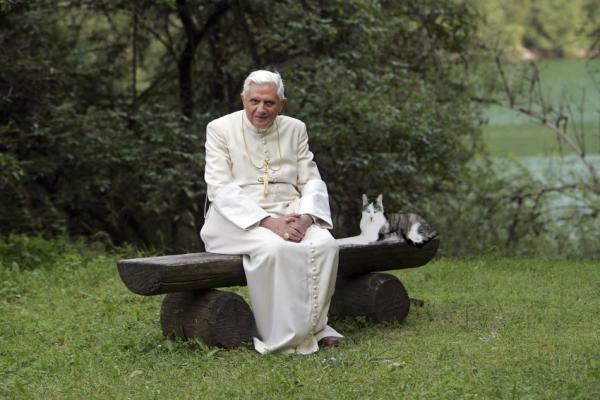 For almost 20 years previous to his election as pontiff, then-Cardinal Joseph Ratzinger lived just east of the Vatican in the Roman neighborhood of Borgo Pio. He was said to have enjoyed strolling along the historic avenues, interrupted only by stray cats who would run to greet him. Neighbors likened the cardinal to a sort of “Dr. Dolittle with a Pied Piper charm” though his habit of bringing snacks for the local cats likely weighed heavily in influencing the felines’ feelings.